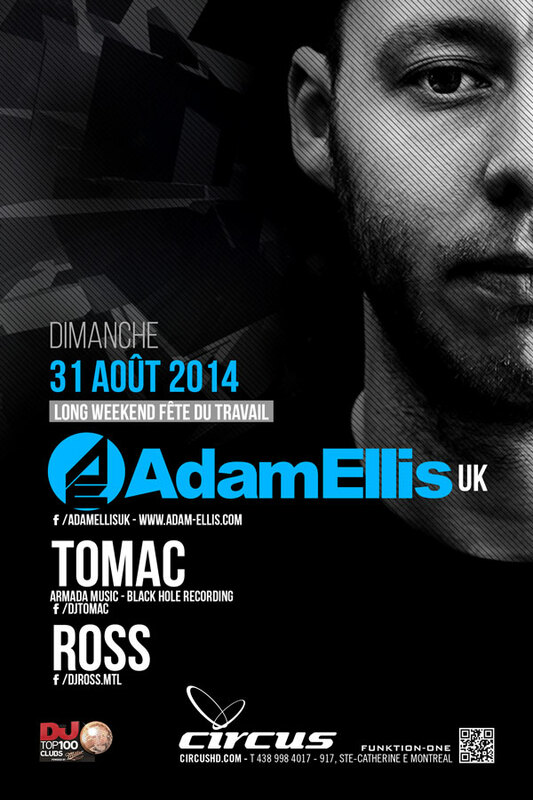 @ Circus Afterhours in Montreal with ADAM ELLIS aswell as Ross on August 31st. It’s gonna be a big party for labor day long week-end! ‹ New studio up and running!